Thanks! I'm definitely pumped about this project and I'm enjoying sharing it. I've been trying to improve the video production the last year or so and I appreciate you noticing . I did start "cheating" by doing actual scripts and using a teleprompter app on my laptop. It helps me stay on topic and say what I want to say without taking TOO long. This video stuff is hard, particularly the "speaking to camera" piece. DamoRC Jnr and I had a rough idea how the "interview" portion of the BullRider video would go. We had scripted some of it but when we started it took is forever to even record the intro because we kept fluffing lines. We were heading out of town the following morning and it was 9:30pm. So eventually we decided to just have a conversation where I'd say, "Ask me about this" or "ask me again a different way" and I would just answer as I would normally which kinda led to the questions sounding "planted" but it got us through. I think we took three 15 minute clips of us just talking and then edited the whole thing (including trying to remove every time I said "emmmmm" in my "Irish-but-20-years-in-America" accent. A lot tougher to do than it looks. It is always tough to come off "naturally" on camera, and it certainly doesn't come easy for most of us. Something I realized recently that I find funny... 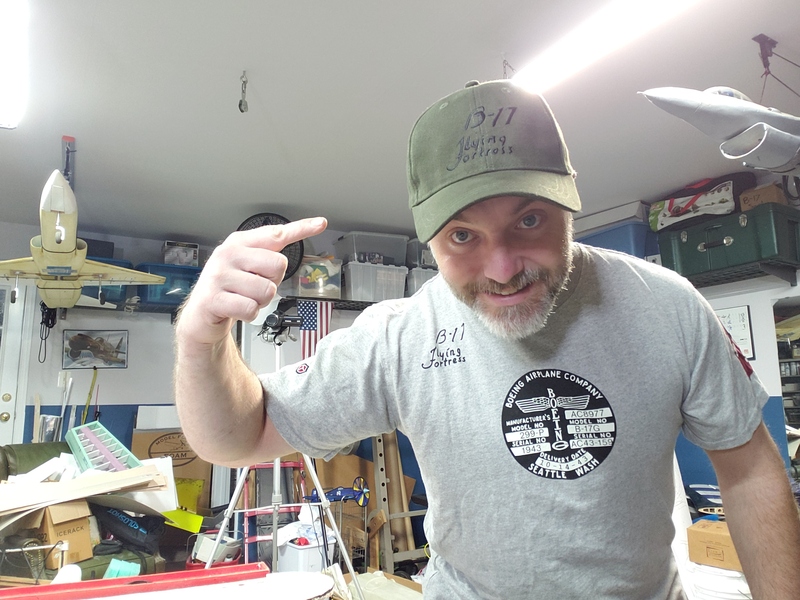 I've actually been doing RC videos on YouTube longer than Flite Test My first video was of a dual 70mm EDF F-14 back in March of 2008, and my most viewed video was a dual 70mm EDF SU-37 maiden flight back in February of 2009, about a year before Flite Test got onto YouTube! All those early videos were in glorious 480p with shaky filming, horrible editing, lots of audio copy-write infringement, and are basically unwatchable by today's standards. It is really amazing how much Flite Test (and a few others) raised the bar for RC videos for everyone. The fact that technology has come so far in 10 years helps a LOT too. And somehow this video from 2009 managed to get 200,000+ views. Gives you an idea of what passed for "good" content back then. So its been a minute without an update. We went out of town for Thanksgiving to visit the inlaws and then we've been slammed with work and holiday stuff since we got back. This evening I was able to sneak out for a bit and get a bit of work done. 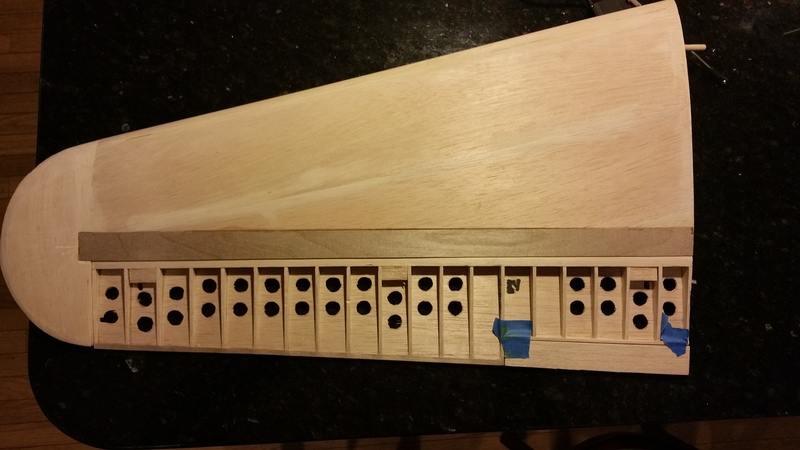 Hinging is installed and looking good so far. 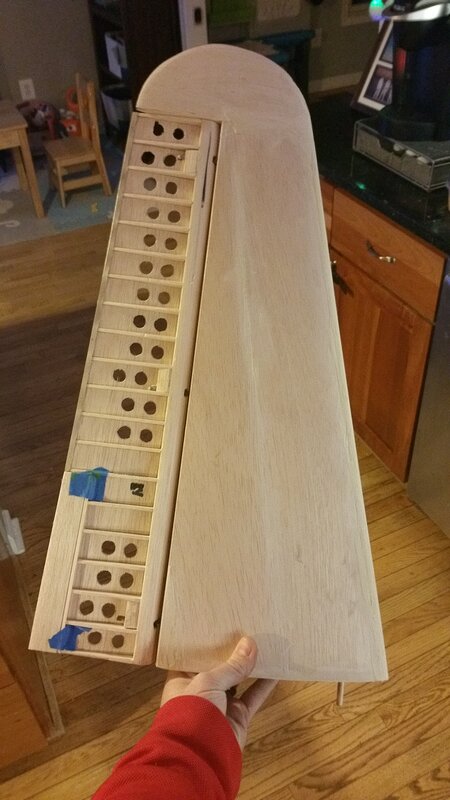 I will need to do some sanding to refine the elevator so there will be adequate clearance on the outside edge and with the gap-seals once it is covered, and I need to fabricate the control horn and linkage and test everything out. 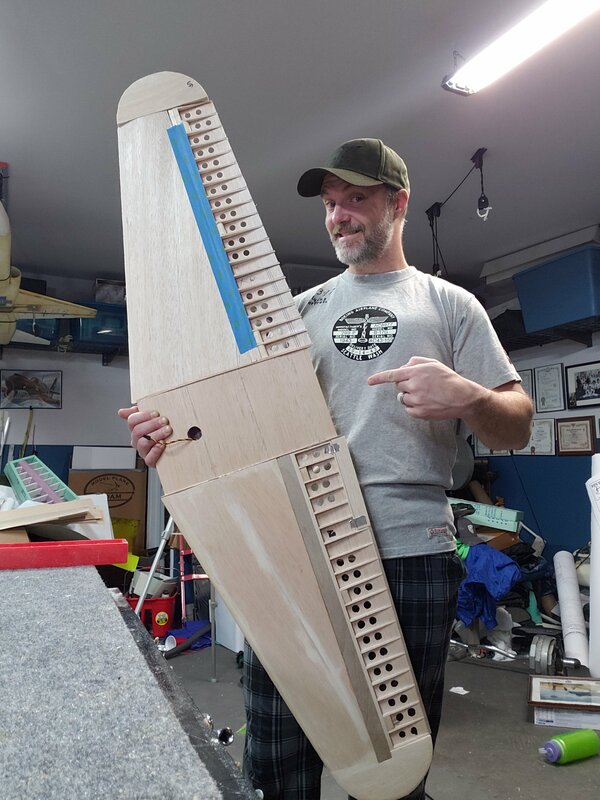 I also tossed a light coat of balsa filler on a few seams and spots and will be doing additional sanding and shaping, particularly on the leading edge and tip. I'll be taking this panel to the point it is ready for fiberglass and will then go back and catch the process on camera for the other panel. Something else related to the project. My uncle sent another surprise the other day. 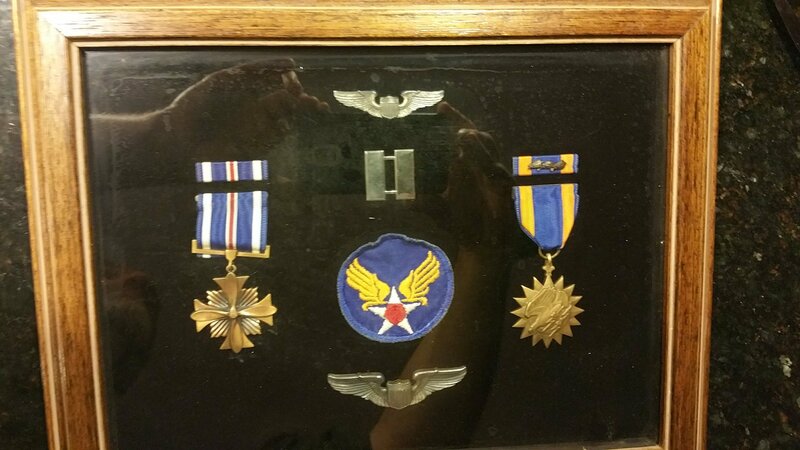 A case with my grandfather's medals, including his Distinguished Flying Cross. I'm really humbled that he has decided I should hold on to these pieces of our family history. That's pretty cool. My father's old buddy from the Bengals' stadium was a B-17 skipper. He told me once, that the last mission for the Memphis Belle was his very first mission. Thats really cool Slingshot. That part of the war was particularly deadly for the B-17 crews. I'm sure your dad's buddy had a lot of stories to tell. So, still busy at work but got a bit more done on the first panel. Like I said I want to get this one 100% ready for covering and glass before moving on the the other one. The second one normally goes faster... unless you film the process (which I'll do). 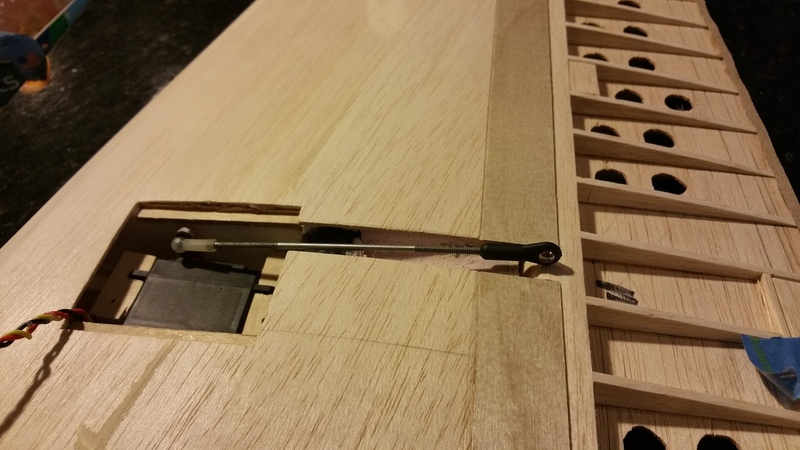 Hinge line gap covers are installed and I'm VERY happy with how clean they fit. Started the linkage install but will need to make a stop at the Hobby shop to pick up a few required pieces. The 4-40 ball link at the elevator end will be secured by a 4-40 bolt passing through 2 control horns placed snugly on either side of the ball link. Between that and the ball link at the servo side there will be 0 slop. So its been a minute without an update... I've got the first panel pretty close to ready for glass. Got the servo, linkage, and horns installed and hooked it up to test everything out. I can get about 30* maximum deflection before the linkage starts to bind, which SHOULD be more than enough for a bomber. So... here's the first elevator in action and a few shots of the Stab and Swag! That is awesome! If you ever needed any proof of how much of a stand up great guy Ben is, the proof is the there. He is officially the stealth gift giver! 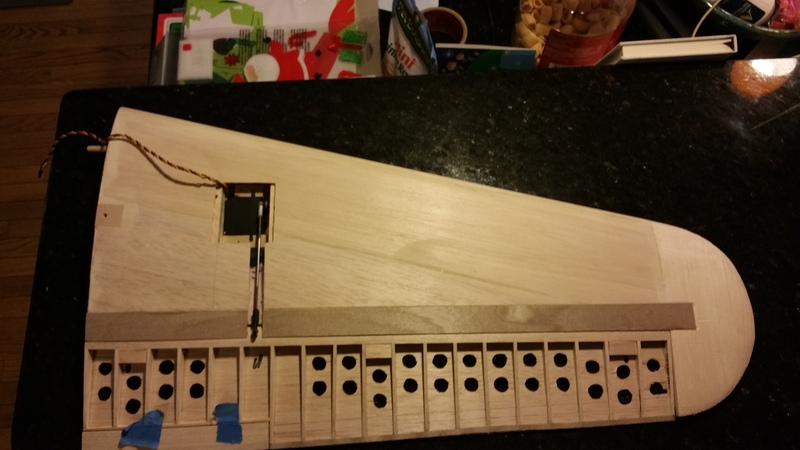 The Elevator and horizontal stab are also looking fantastic so far! I love all of the detail and lightening holes put into the ribs. The whole assembly really puts the size of this monster into perspective as well! 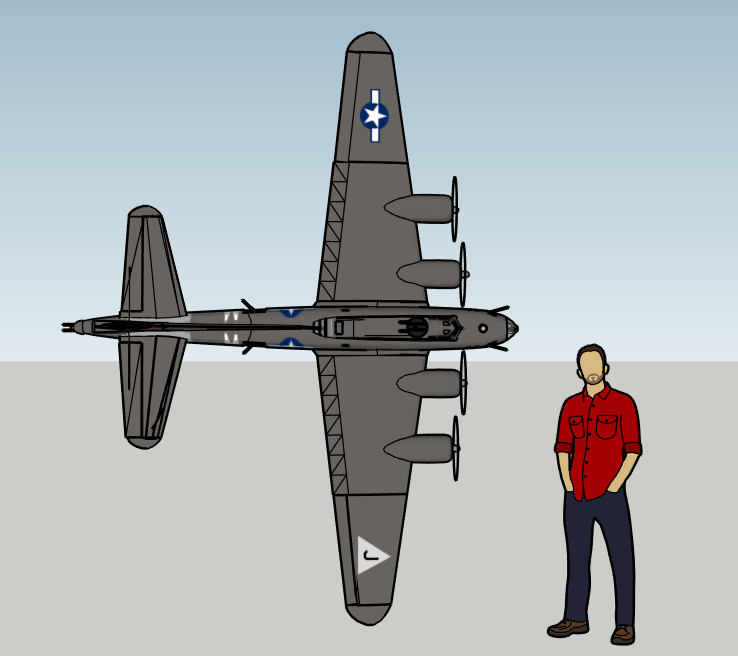 Following this build closely, as I have some 100” B-29 plans laying around waiting to be built someday, and I can only hope to have about 1/2 your level of detail! Looking like great progress! Ben had reached out to me for your address and shirt size. After volunteering at FF this year, I was 99.5% confident in your size and it looks like I was right! I'll second your notion that Ben is a outstanding guy. There are many MANY others but it really is a community of giving and sharing. Part of what makes this a great hobby is that aspect. There are locations, physical and digital, where this aspect is lost and it is to their disadvantage. Y’all are makin’ me blush, I’m just another dude who likes to make his friends smile once in a while! 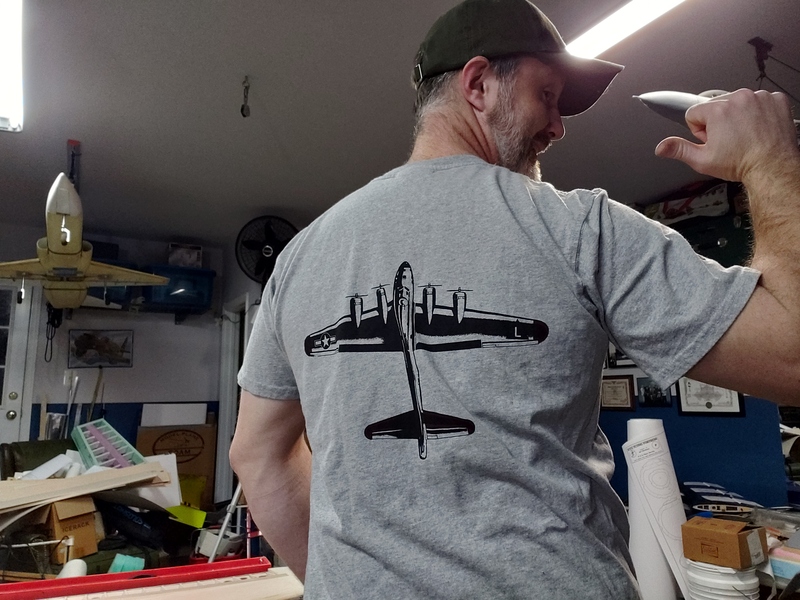 The Boeing store was having a sale, and I saw the B-17 stuff (of which there is MUCH MUCH more BTW...! ), and immediately knew I had to send Carl a couple things. Thanks for the kind words just the same, and I’m glad the shirt fit too! Nothing much done last night. I had the time to hit the shop and build but was feeling iffy. I have pretty bad allergies and thought I might have got a bit too much balsa dust in me over the weekend, even though I was careful. Nope... Its a cold Slept for 11 hours last night and still a bit tired today. Hopefully it passes quickly. haha, if she complains, remind her that at least you aren't like louis bleriot who built full scale airplanes in his basement. I don't know if you've covered this yet, but have you decided on a prop rotation scheme? Will you go with a scale, all CCW, or a counter rotating scheme? And exactly how do you intend to manage hiding this? I can just imagine small pieces hidden in various nooks and crannies, each one pretending to be something else. Rockyboy: Now THAT is an interesting idea! Yup. That's smart. Inboard turning. That way you will not have a critical side, and any failure that might occur will give you a much higher probability of survival. Yup. Ground handling will be nice too. Just point her down the runway and shoot I don't plan to fly her from tight runways, but it will be nice to know she tracks straight and I won't be worrying about rudder much on roll out. Id be more worried tellin his wife she has to walk to the field to see the maiden because there is no room for her in the van taking the plane to the field hehe.